As you are probably aware by now, Stampin' Up are launching a brand new catalogue in January - if you'd like a copy, click HERE. Today's gorgeous box is made using one of my favourite new stamp sets, Dragonfly Dreams. It is a fab perk of being a demo that I get my hands on all these new goodies over 6 weeks before they launch. I've been itching to share some projects with you for a while now and just couldn't resist any longer. 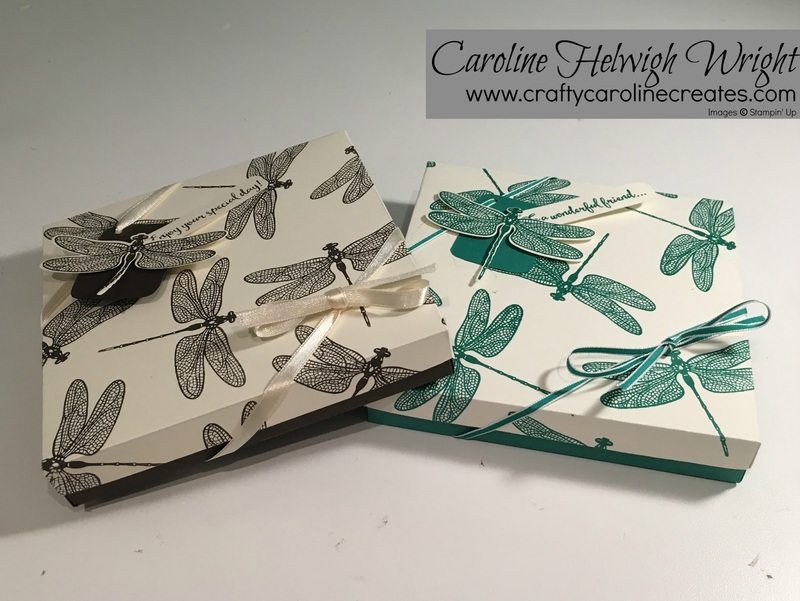 This really is a stunning stamp set which I've used here to make this elegant printed paper look. Just look how detailed that stamped image is. And just look at that gorgeous font for the really useful sentiments. 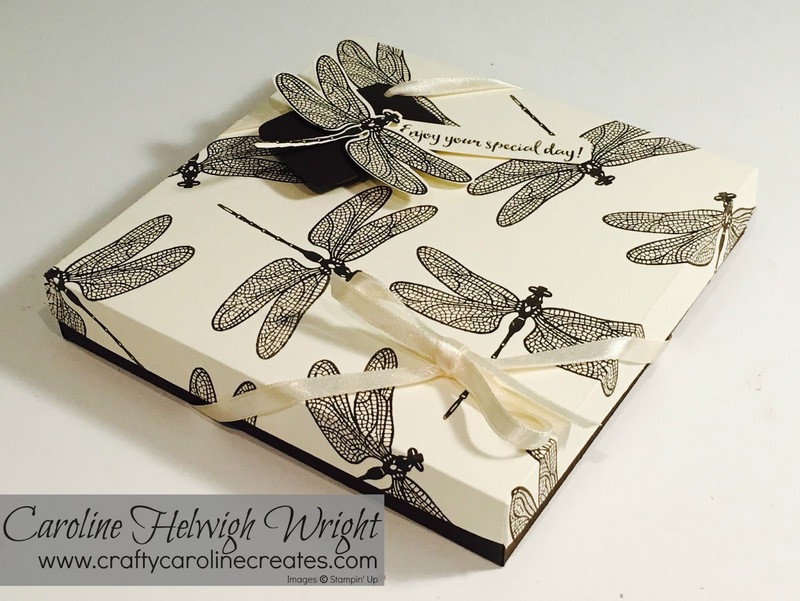 The stamp set also comes in a bundle with some coordinating framelit dies. 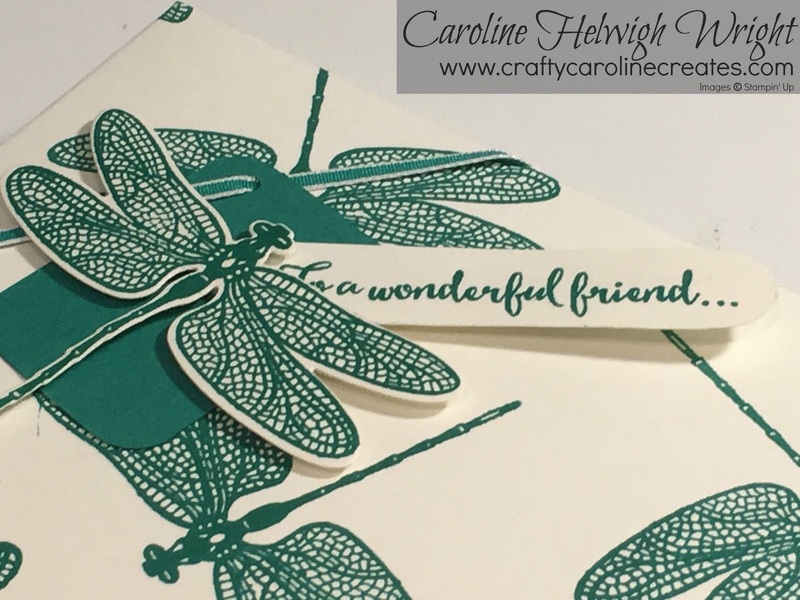 It made cutting out the dragonfly for the tag so easy. If you would like to see how I made this box, and the new stamp set and dies in more detail, click HERE to view my video. Score at 3/8th and 1 inch on all 4 sides. I "found" you, your blog and your lovely box via YouTube. This box is really beautiful - I just had to copy it!